Palomar Modular Buildings provides modular swing space buildings manufactured to meet our client’s precise specifications. Swing space buildings are temporary facilities for employees to continue work while permanent office, healthcare, government, military or other facilities are under construction or renovation. 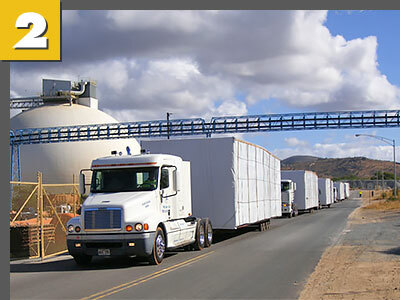 We provide cost-effective temporary building design, development and project management. 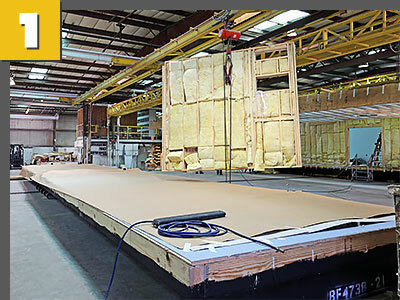 Our advanced modular construction team provides cutting-edge services at an unprecedented pace to bring new swing space facilities online quickly so major construction projects can get under way. 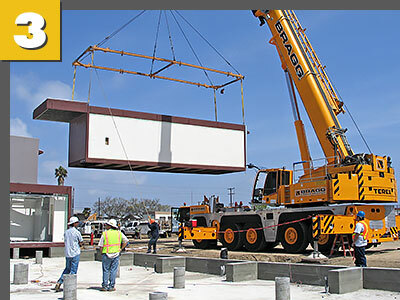 Palomar’s modular building process produces swing space buildings up to 20% less expensive, and up to 50% faster than conventional construction. In fact, our modular building strategy makes it possible to complete up to 90% of the building construction off-site which results in reduced site disruption, faster project completion time and quicker client occupancy. Our seasoned project management team assists customers from the project definition phase through to the planning, design, engineering, specification, construction and final delivery of the project. Insight cultivated from thousands of structures allows our team to advise investors throughout the construction process to keep their modular swing space building project running on schedule and on budget.